Servoy’s architecture is made of three tiers: the data tier, logic tier and presentation tier. 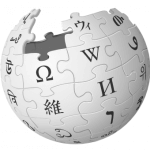 The data tier can integrate with existing data sources such as relational databases, web services, email, file systems and just about anything else via the API. The presentation tier supports various client technologies, HTML5, native desktop, native mobile and the omnichannel delivery capabilities of the platform, all from a single code base. Servoy uses a stateful application server, which makes programming easy, productive and secure. Servoy gives you the ultimate high-performance application with a maintainable code base. Servoy can be deployed to both classic and modern environments, from your Mac Mini, a Windows Server, a local unix or linux box to any cloud environment: both public and private cloud. 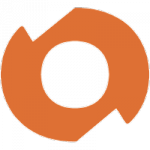 Servoy is deployed as a Java container so any cloud that supports Java containers can run Servoy. on AWS, Azure and IBM Softlayer you will find preconfigured Servoy images to instantly fire up Servoy instances. 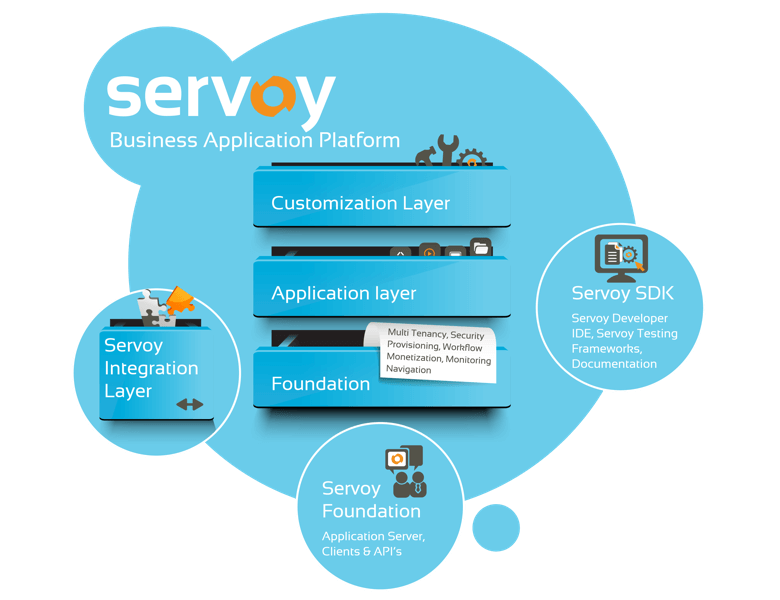 Servoy consists of three key parts: the foundation layer, the IDE and the integration layer. Servoy University is the online portal for Servoy training videos and certification.